This has to be our favourite. We absolutely love everything about this antique inspired diamond disc necklace. 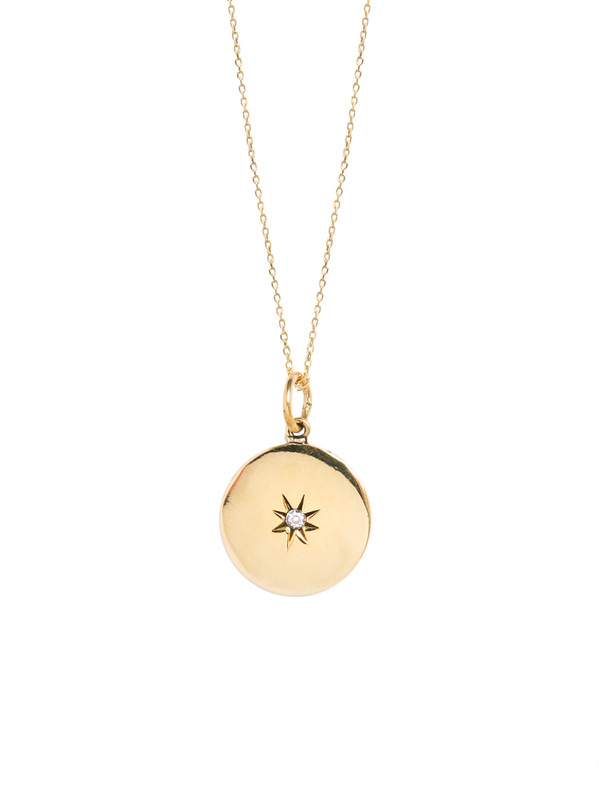 It measures 1.5cm in length and has a white Swarovski crystal in the centre. It looks stunning worn on its own or great layered with other necklaces from the collection. It hangs on a sterling silver chain which has been plated in 23.5 karat gold and has three different length options (on the same chain), ranging from 40cm to 50cm.